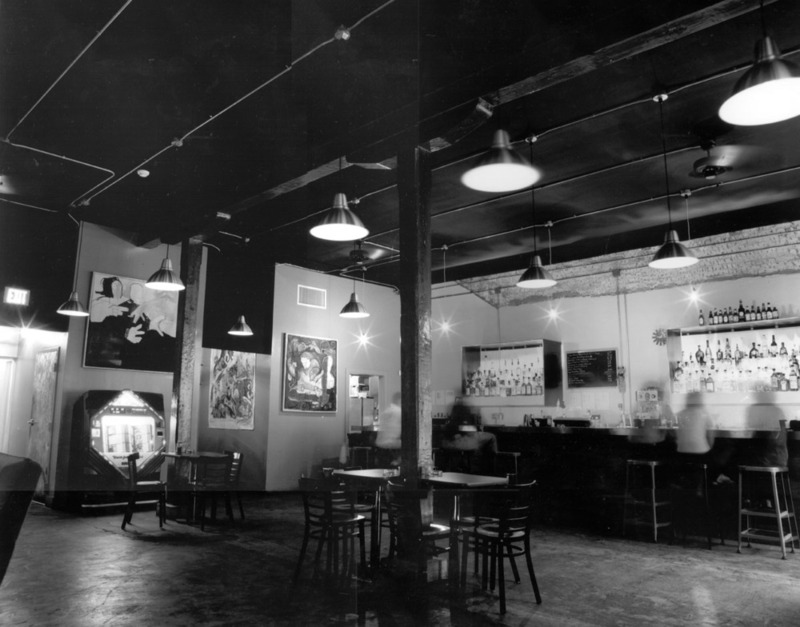 The Red Star Bar is first an urban insertion of event into a dead downtown. It will be one of three downtown spaces open to the public past 6:00 pm in a city of 300,000 people. Secondly, it is an insertion of minimal budget into an existing storefront space. The programmatic functions are placed into boxes. The events take place between and within them. Between the lit steel display boxes, the cypress service box, the gray evacuation boxes, and the translucent façade boxes, the events take place. The inefficiencies that are necessary of a social space are allowed to take place as required.